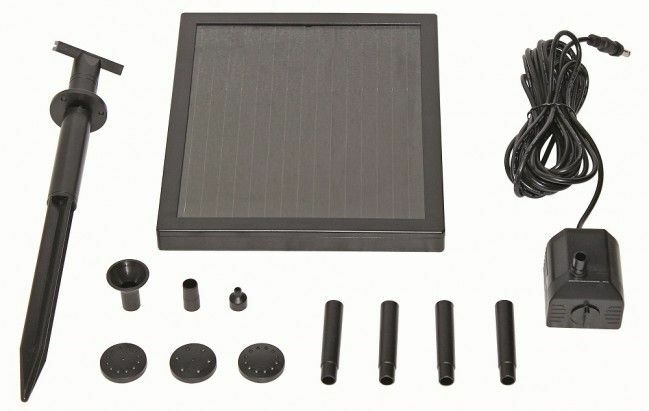 solar fountain set, PondoSolar 150 does not need a power connection. 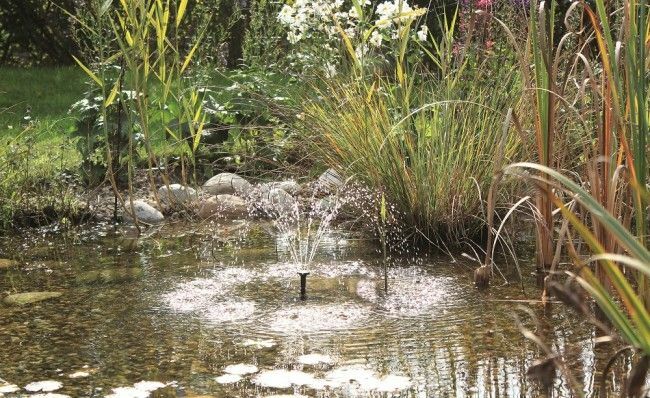 Complete set includes 4 different nozzle attachments to give you the possibility of having your preferred fountain water pattern. 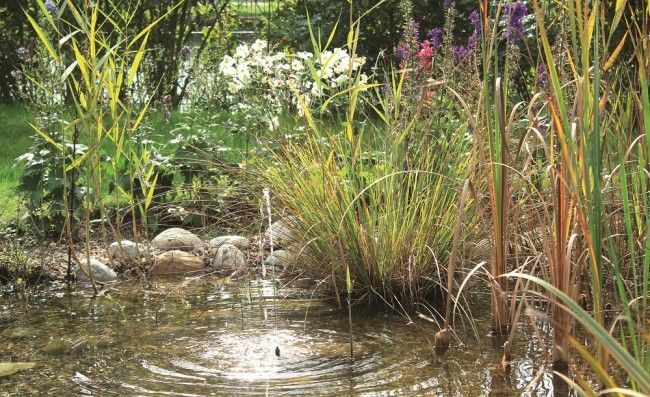 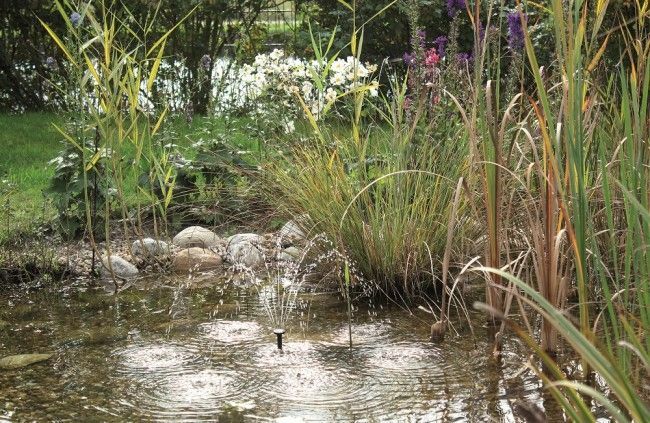 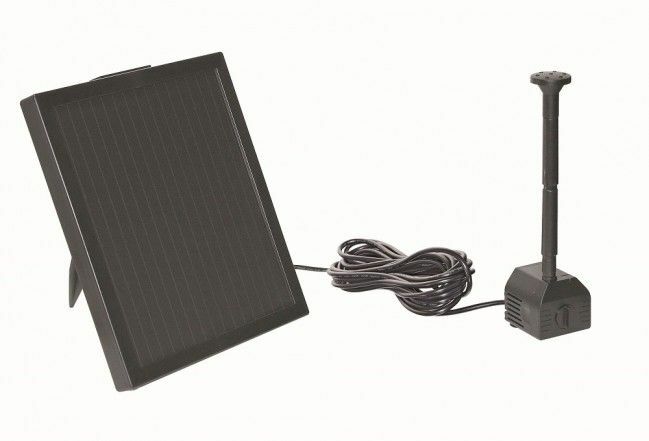 In addition to the 6 Volt fountain pump with 150 litre per hour flow rate, the set also includes an integrated solar panel with 1.4 watt, as well as a 5 m cable and a ground stake set.